This is another simple recipe…see a trend here. I have been craving chinese lately and wanted to make it at home but didn’t want a simple stir-fry. This was quick and so tasty. Cook the rice according to the package. I found Uncle Ben’s has a 90 second rice packs that worked perfectly! Heat the oil in a large skillet over medium heat. Add the ginger and garlic, cook stirring for 1 minute. Add the chicken and cook until browned on all sides, about 5 minutes. Add the salt and pepper and stir to coat. Add the broth, hoisin, lime juice and zest and bring to a simmer. Partially cover the pan and simmer until the chicken is cooked through and sauce thickens for about 8 to 10 minutes. I found that my sauce wasn’t thickening, so I added a little bit of cornstarch mixed with warm water to help move this along. 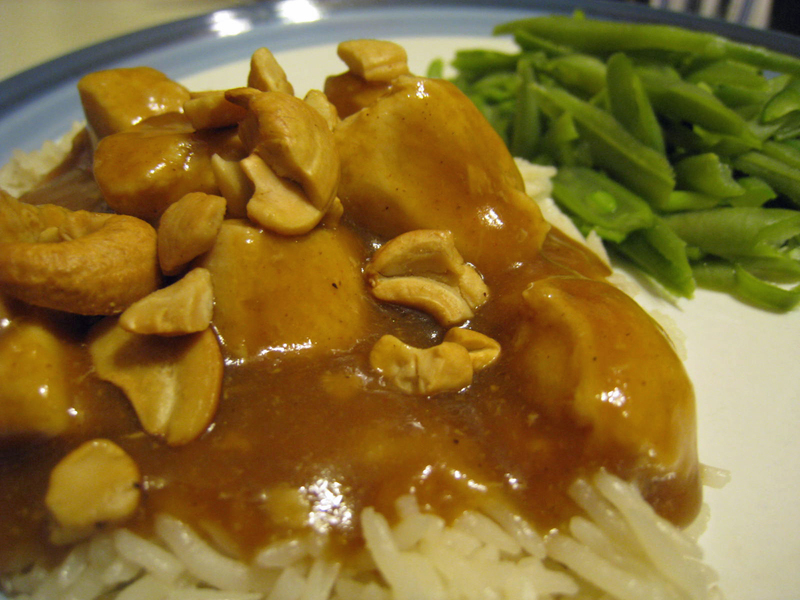 Serve the chicken mixture over the rice and top with the cashew pieces.